An annual physical examination is critical to keeping your pet healthy --- remember that it would be like you going to the doctor AND dentist every 7 years (and they can't tell us when something is bothering them)! 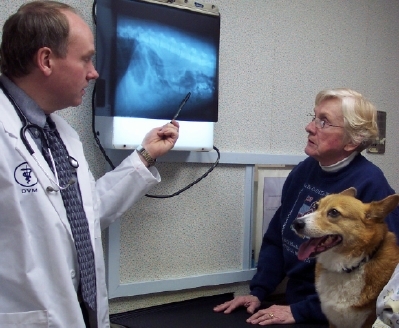 During the annual visit, we will provide a comprehensive physical exam, discussing things like dental care; flea and tick control, and other skin conditions; nutrition, including optimal weight control and proper food use; internal parasite control (heartworms and intestinal worms are very common); and other important issues. During this visit, a stool sample should be checked microscopically for intestinal worms; heartworm, leukemia, and other blood & urine tests will be updated if needed, and vaccinations can be given as needed. Our Preventive Health Care Plans allow you to budget for these procedures monthly AND provide monthly heartworm and flea prevention all year round. We believe in tailoring vaccines to an individual's lifestyle rather than giving every possible vaccine to each pet. We were among the first clinics in the area to adopt the Association of Feline Practitioner's recommendations for three year distemper/upper respiratory boosters rather than annually, and AAHA's recommendation for canine distemper/parvovirus being administered every 3 years too. PUPPIES AND KITTENS should start their vaccines at 6-8 weeks of age, and then receive a series of these until their immune system is mature enough to protect the new baby from these deadly diseases. Checking stool samples microscopically for intestinal worms and de-worming them appropriately is critical since so many are infected and these parasites can be contagious to your family as well. Kittens should be tested for the deadly feline leukemia and feline immunodeficiency viruses as well since they can carry these diseases without showing outward symptoms but eventually will succumb to their effects after you have invested time, money, and emotions. To help you manage the expenses of these preventive care measures, we offer puppy and kitten preventive health care packages. This also gives you discounts on foods, microchipping, spays & neuters, etc. Click the Preventive Health Care tab at the top for more information or call us at 574-654-3129. Most pets are considered to be senior citizens at 10 years of age. Just like people, senior pets are prone to internal organ failures like heart or kidney disease and diabetes, degenerative conditions such as arthritis or senility, and especially common are various types of cancers. 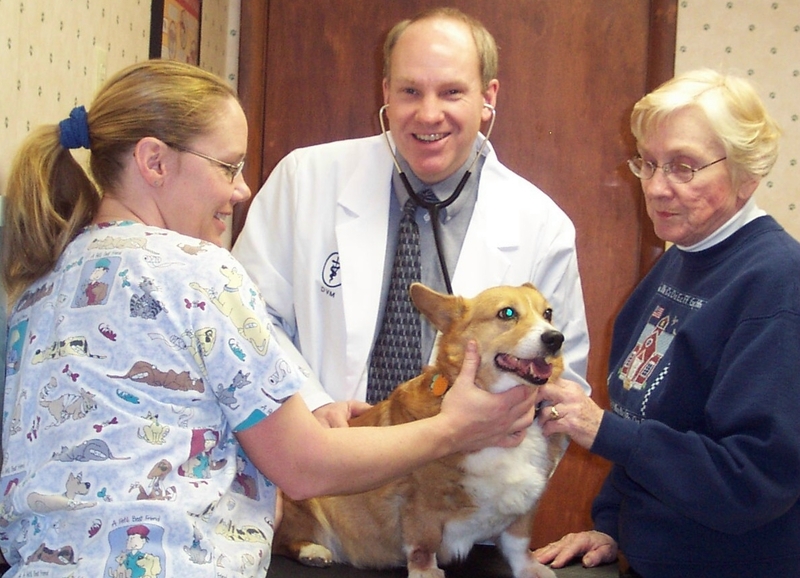 For our older pets, we recommend comprehensive physical exams twice a year at a minimum so that we can detect these problems early on for more successful treatment. We recommend at the very least, an annual blood count, blood profile, and thyroid test so look for hidden diseases before they cause symptoms. A urine test should be done, including a Protein:Creatinine ratio to measure protein loss for earlier diagnosis of kidney disease even before blood tests detect them. As part of a senior plan, we will also check your pet's blood pressure, screen for glaucoma with eye pressure testing, and perform and EKG screen to look for irrregular heart rhythms. It also provides you with discounts on senior and prescription diets (many diseases are managed with diet alone) and dental care since senior pets often need annual dental cleanings. If your options are limited, these screening tests and physicals are more important than vaccines at this age. Once again, our Preventive Health Care Plans which allow you to receive significant discounts on these services; click on the Preventive Health Care tab at left or call our office at 574-654-3129.